The story was written by Battlestar Galactica veterans Bradley Thompson and David Weddle, and the designers at Gearbox Software were given access to tons of material to help flesh out the corners of the Aliens world that was only hinted at in the films. You’ll get to explore the empty corridors of the Sulaco, and the creepy interior of the derelict Engineer ship where this mess all started in 1979’s Alien. Hell, they even got the chance to pick Ridley Scott’s brain about Prometheus, so there could well be some crossover surprises we haven’t heard about yet. Kiera has Marty McFly problems, as she is forced to protect her grandmother from being murdered by Liber8. The First Doctor (William Hartnell) visits Paris during the French Revolution. Things go bad fast, and companions Ian, Susan, and Barbara may lose their heads…literally. Director Bryan Singer puts in an appearance as the contestants are tasked with creating creatures inspired by the upcoming movie Jack the Giant Slayer. But she can’t look back–the life she once had is gone forever. 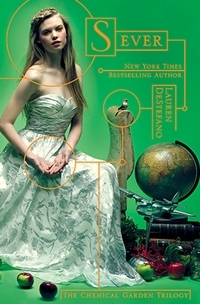 A deadly virus has destroyed Kaelyn’s small island community and spread beyond the quarantine. No one is safe. But when Kaelyn finds samples of a vaccine in her father’s abandoned lab, she knows there must be someone, somewhere, who can replicate it. As Kaelyn and her friends head to the mainland, they encounter a world beyond recognition. It’s not only the “friendly flu” that’s a killer–there are people who will stop at nothing to get their hands on the vaccine. How much will Kaelyn risk for an unproven cure, when the search could either destroy those she loves or save the human race? 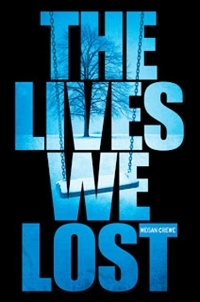 Megan Crewe’s second volume in the Fallen World trilogy is an action-packed journey that explores the resilience of friendship, the ache of lost love, and Kaelyn’s enduring hope in the face of the sacrifices she must make to stay alive. Zoe and Adrien hide themselves from detection at the Foundation, an academy that trains teen glitchers to fight in the Resistance movement. 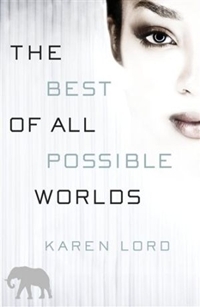 Together, Zoe and her new team of superhuman fighters must risk their lives to rescue other glitchers and humans from the Chancellor’s control. 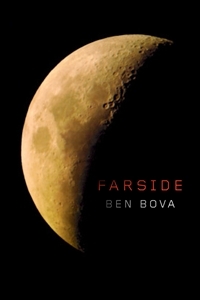 Challenges abound at every turn, and Adrien, who has become silent, distant, and tormented by his visions of the future, only adds to the growing certainty of defeat. But worst of all, as Zoe’s team fights against impossible odds, distrust and betrayal leads to the terrible discovery that their greatest threat could already be lurking behind the safe walls of the Foundation. 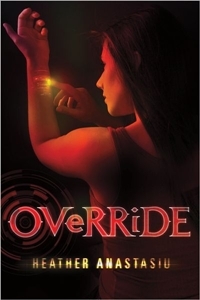 Full of high-adrenaline action and shocking twists, Heather Anastasiu’s Override is an exciting continuation of this popular young adult trilogy. This charming little flick was one of the best surprises of 2012. If you didn’t see it in theaters — and you probably didn’t — you should definitely give it a chance. Frank Langella stars as a retired thief who reluctantly befriends a caretaker droid his son forces on him, then realizes that his robot helper could be the perfect accomplice for a few more jobs. Satellite data is transformed into visual sequences that detail the interwoven forces that sustain life on Earth. Included: how dust from the Sahara fertilizes the Amazon; how a vast underwater “waterfall” off Antarctica helps drive ocean currents around the globe; and how a powerful hurricane is born from the sun’s heating of the southern Atlantic. The new ongoing series continues, serving up stories set between A New Hope and The Empire Strikes Back. 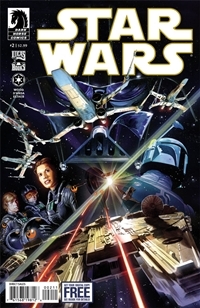 A cagey young Imperial officer seems to anticipate the Rebels’ every move, so Princess Leia forms a “stealth squadron”—including Luke Skywalker—to expose a suspected spy within their ranks. Reese and Finch attempt to prevent the murder of a hotel maid. Unfortunately the suspects include pretty much everybody else in the building. Rick goes looking for a missing friend, while Merle and Daryl wonder whether that whole striking out on their own thing was a bad idea.